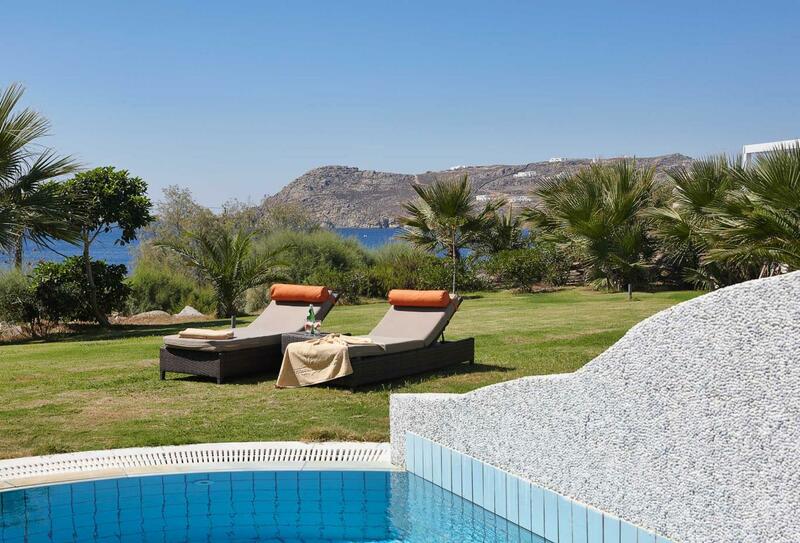 Overlooking the Aegean Sea, Myconion Imperial and Thalasso Resort is hugged by Elia beach in the renowned southern part of Mykonos, just 15 minutes from the town. 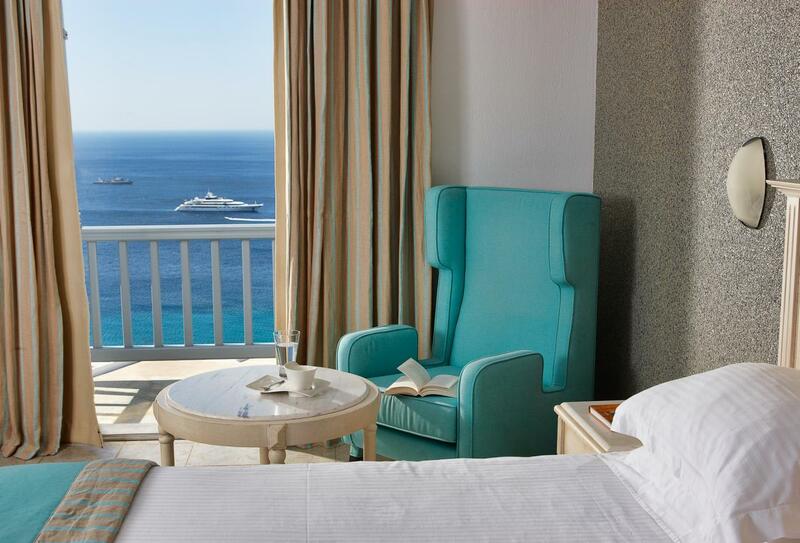 It offers 148 exclusive rooms, suites and villas, many with a terrace-side private Jacuzzi or pool. A calming and relaxing sensation will envelop you as you enter the spa where you can select from various soothing therapies including facial treatments, warming wraps and body massages. 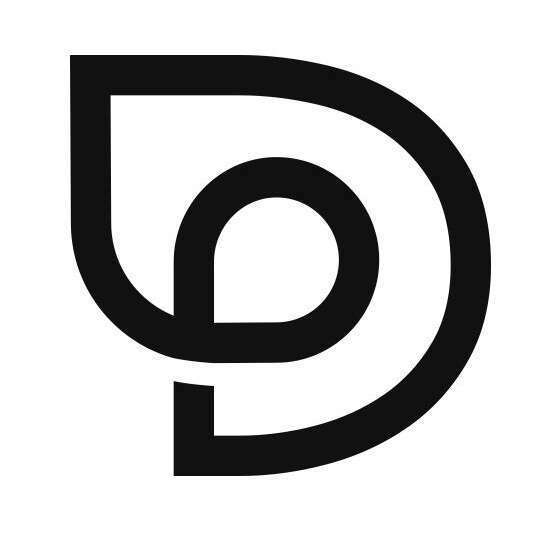 Dining is exquisite with two gourmet restaurants and bars. The culinary creativity of the chefs means your meals become almost an art form as they unfold treasures of Mediterranean, oriental and international cuisine in dishes emphasising purity, simplicity and seasonal flavours. 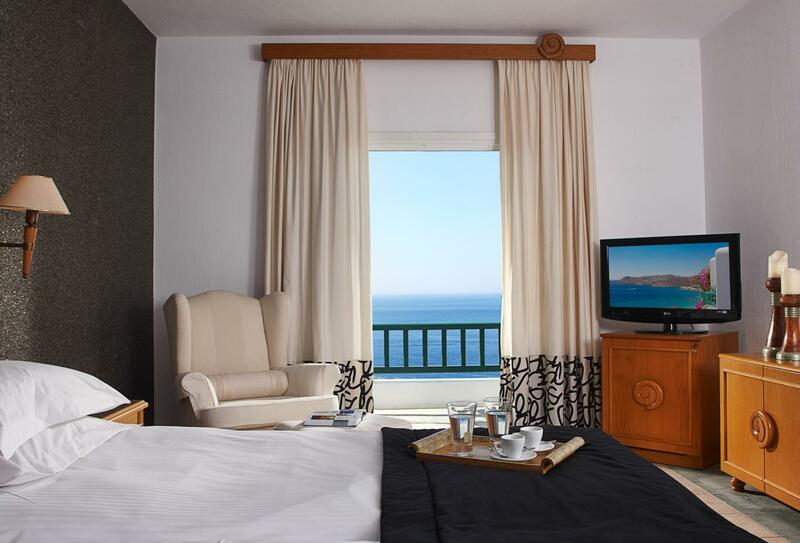 Comfortable and elegant room with magnificent views of the Aegean Sea. Also includes king size or twin beds, a marble bathroom with a shower and bath and the availability of connecting rooms. Enjoy quiet relaxation in this elegantly comfortable living space with a private pool and al fresco dining overlooking the Aegean Sea. Enjoy a rich buffet breakfast as you gaze over the waters of Elia Beach. This trendy poolside bar serves ice cold refreshments, light snacks and champagne. Enjoy an aperitif or cocktail on the terrace. Enjoy gourmet fine dining under the stars on authentic Mediterranean cuisine and exquisite local delicacies. The resort chef indulges his unconventional combinations and flair for the unexpected to create you a special sushi dinner. 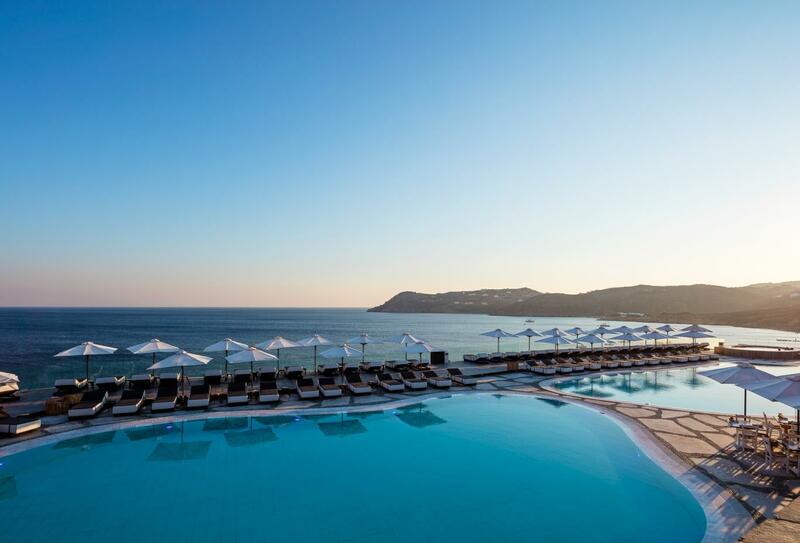 Royal Myconian Resort sits beside Elia beach in the southern part of Mykonos, 3km from domestic and international flights at Mykonos Island National Airport.